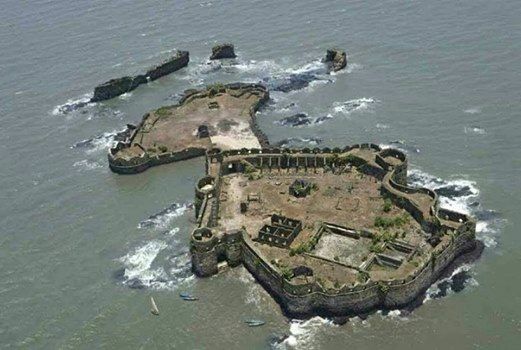 Padmadurg, also known as Kasa fort, is one of five historical sea forts built by Sambhaji Maharaj and located in Raigad District Maharashtra, India. 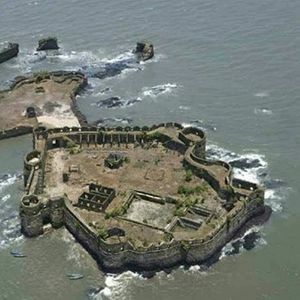 It was built by Marathas to challenge another seaport Janjira which was controlled by Siddis. It is located in the northwest direction of the Janjira fort at a distance of about 10 km. During cleanup activities in 2012, ASI authorities found around 250 cannonballs of historical value. Visiting the fort requires taking permission from the authorities. The small entrance door of Padmadurg facing the entrance of Janjira fort is still in good condition but the bastions and fortification wall are in a bad condition. There is a dried up well and a temple of the local deity of the fishermen community Lord Vetaleshwar on the fort and its flags are mounted on the bastion opposite to it. The rocks adjoining the fort have been cut in a specific manner to dock ships and it can be viewed from the fortified wall.